Apparently, Kala Chashma isn’t the only catchy song in the new movie Baar Baar Dekho starring Katrina Kaif and Siddharth Malhotra. Bilal Saeed, a Pakistani pop singer’s song Kher Mangdi will also be one of the tracks in the film. Bilal Saeed’s Kher Mangdi was nominated as one of the best songs at the Lux Style Awards this year. Even though he didn’t win, the song also made it to a Bollywood flick. In the past, Bilal Saeed has sung for a relatively unknown Bollywood movie ‘Ishq-e-Dariyaan’, a song called ‘Mohabbat Yeh’ which did not gain much attention at the box office. Hopefully, following in the steps of his compatriots such as Atif Aslam, Rahat Fateh Ali Khan and Ali Zafar who have become a phenomenon in Bollywood, Bilal Saeed will also be able to make his mark. The movie Baar Baar Dekho has claimed to have a unique plot, the like of which has not been seen in the B-Town so far. Katrina Kaif and Sidharth Malhotra is one hot jodi we were waiting to see onscreen. With Baar Baar Dekho, that wish came true! 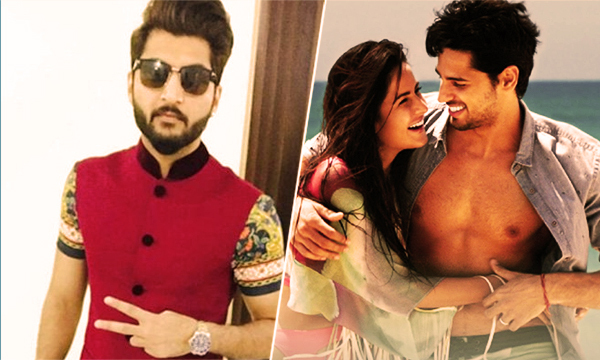 You have to listen to the Baar Baar Dekho’s new song ‘Kala Chashma’, which released on July 27th. It makes us realize that Katrina and Sidharth are just magic together. The movie deals with time traveling and has been shot all over the world.